The Halloween Bike Ride is Boston’s spoooookiest community celebration of Halloween and bicycles that brings together people from all parts of the city. We costume our bicycles and ourselves and ride together through the streets of Boston, Brookline, and Cambridge. The slow-paced ride covers about 18 miles as it meanders from the Green Street T Station in Jamaica Plain to Kenmore Square, Coolidge Corner, Harvard Square, Central Square, Inman Square, Copley Plaza, and back to Jamaica Plain. The route changes slightly from year to year, and may change on the night of the ride based on road conditions, and sometimes the whim of the Ride Leader. The ride is friendly, open to all, and a great way to spend Halloween Night! The Halloween Bike Ride was started in 2000 by Chris Huggins, a bicycle enthusiast with a knack for D.I.Y. projects. His stereo bike, and later invention of the stereo bicycle trailer, has provided the rides with a steady rhythm and great fun! In 2008, Chris moved out of state and left this event in the hands of several volunteers who have sworn to keep alive the tradition of the Halloween Bike Ride. In keeping with the spirit of rides past, this year we will have a soundtrack guaranteed to keep you moving, pumped out of an updated stereo trailer that will be better than ever! 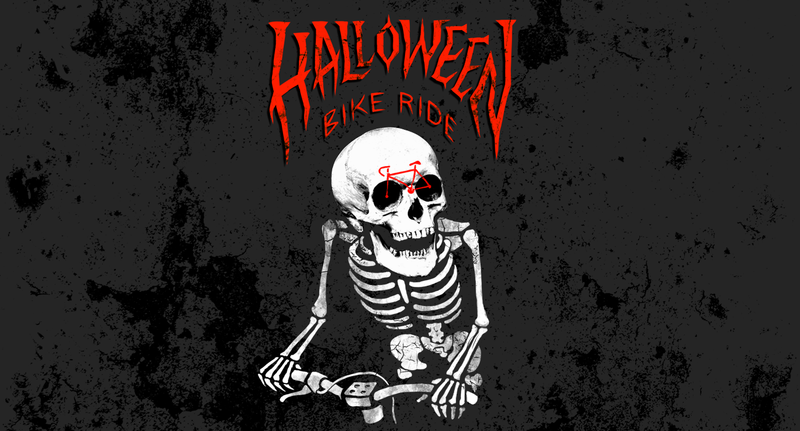 So get your costume and bicycle ready for the best night of the year, Halloween!